At Sofra partners we’re passionate about our client’s property as part of their investment portfolio. We provide reliable property tax advice from experienced accountants that can make a substantial difference to your tax saving on property portfolio. It is through our dealing with property for many years that we have become property tax experts renowned for reliable tax advice for property investors. Structure your investment portfolio for better asset protection. 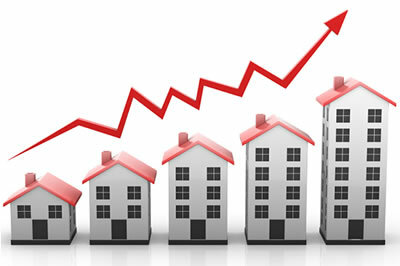 Improve cash flows of your property portfolio by maximising your depreciation and building write-off expenses expenses. Property investment strategies that can legally reduce taxes. Claim all tax deductions that you are legally entitled to, including all depreciations and expenses related to improving, managing and holding your investment property. Obtaining investment loans at competitive interest rate (through our finance arm). Advise on how to appropriately structure your debt to purchase investment properties. Advise on a leverage strategy to fund and structure any subsequent property purchases. At Sofra partners we not only aim to maximise your investment claims (to maximise your tax refunds), but also provide our clients with proven systems which will actively grow and protect their wealth. The appropriate business structure will help protect and retain your wealth but also legitimately assist you in reducing the amount of tax you pay, both during the whole period and at the eventual sale. Through our years of experience we have developed many strategies that can help you effectively protect your assets and minimise your tax, in your lifetime and when and if the property is eventually pass legally to your future generations. We also aim to maximise refunds in your hand weekly (rather than waiting to the end of the year) by applying directly to the ATO on your behalf once you have determined the allowable deductions for your new property. This is all part of our service, so why not take the time to review your existing accountant’s claims with us at our no obligation meeting.